IPL 2019: The rules are going to be discussed all over again. 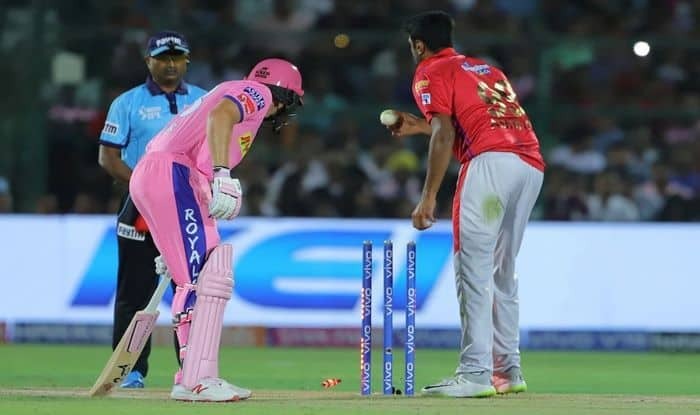 IPL 2019: RR v KXIP: No warning was given to Rajasthan Royals Jos Buttler as Ravichandran Ashwin did mankading at the Sawai Mansingh Stadium. It is not often seen in cricket and is one of the rarest modes of dismissal. Usually, a warning is given to the non-striker for backing up too much. But on this occasion, there was no warning as he was adjudicated out. Ashwin was having a heated argument with Buttler and on replays, it showed that he was clearly out of the crease. Buttler was fuming as he walked back to the dugout. It is debatable if it is good in the spirit of the game. It was the first time in the history of the league that a batsman has been mankaded. This is not the first time Buttler has been mankaded, he was mankaded in international cricket by Sachithra Senanayake in 2014.